I get tons of questions during the winter sowing season, and I see many of the same questions come through. So I decided to write a series of FAQ (frequently asked questions) posts to answer some of these most commonly asked questions. 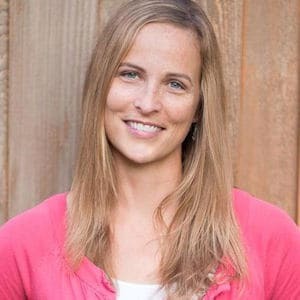 In this post, I will answer a few of the most common questions I get when people are just getting started winter sowing. If you’ve never heard of winter sowing, or want to learn how to winter sow seeds, start by reading this post… Winter Sowing – A Step By Step Guide. Then come back here to get your questions answered. 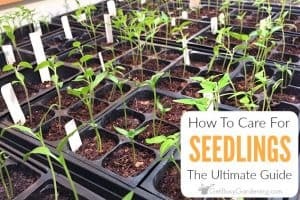 What kind of seeds can I use for winter sowing? When can I start winter sowing? How late is too late to start winter sowing? 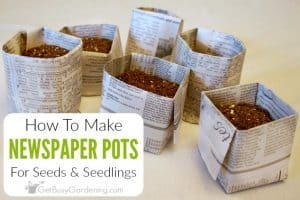 How many holes should I poke in my winter sowing containers? What’s the easiest way to poke the holes in my winter sowing containers? Answer: There are tons of options. If you’re unsure, check the seed packet. Look for terms like “self sowing”, “direct sow outside in the fall”, “direct sow outside in early spring” or “cold stratification”… keywords like these are good indicators of seeds that will work well for winter sowing. Generally speaking, perennial seeds, cold weather vegetables and hardy annuals will work great with winter sowing. 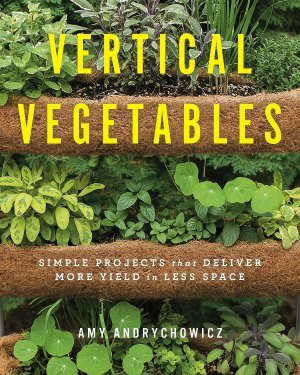 Depending on where you live, warm weather veggies might not do very well, simply because they won’t have enough time to mature before transplanting them in the garden. Also, larger seeds, like squash, beans and peas, tend to rot if winter sown too early. I use the winter sowing method with these types of seeds, but I wait to start them until early spring, rather than in the cold of winter. If you’re unsure, you can always try winter sowing only a few of the seeds you have, and see how well they do. 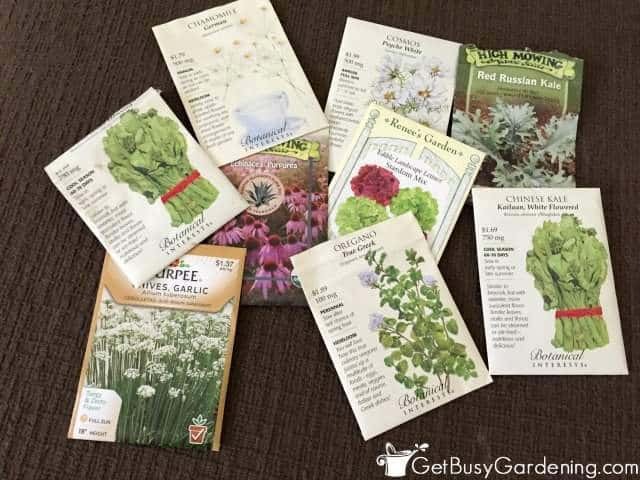 Read my post about What Seeds To Winter Sow to learn more about how to choose seeds for winter sowing, a get list of seeds I’ve had success winter sowing. Answer: It’s best to wait until the cold temperatures of winter are here to stay. Many people make it a tradition to start winter sowing on the winter solstice, which is December 21st, but sometimes it’s still too warm to start winter sowing that early. Plus, our winters in Minnesota are very long, so I usually won’t start winter sowing until January or early February. It gives me something to look forward to after the craziness of the holidays has worn off. Answer: There’s no rule saying when you have to stop using the winter sowing method. I winter sow well into April, and sometimes even in May for the fast growing seeds like beans and squash. I even use this method in the summer to start my late season second crops (keeping them in the shade of course). For seeds that require cold stratification, it’s best to winter sow those first so nature can do the job of stratification for you. 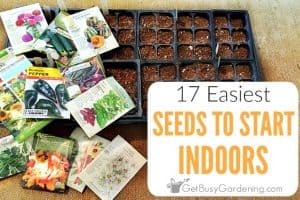 If you wait until March or April to start these seeds, you should plan to cold stratify the seeds yourself (just like you would if you started them indoors). Answer: This really depends on the size of the winter sowing containers you use. You want enough holes so the water doesn’t pool inside the container, but not so many holes that the water drains too fast. 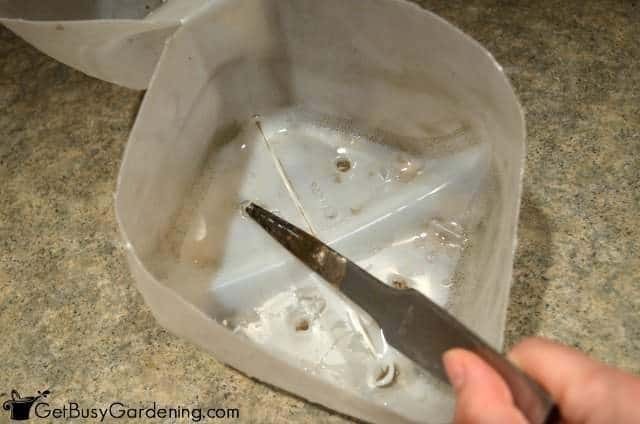 Take a look at the bottom of a standard plastic pot, and use that as your guide. Then just keep an eye on your containers. If the water is pooling, you can poke more holes; if the water is draining too fast, then cover a few with duct tape. Answer: I like to use an old knife, which I heat up and then use it to melt holes in the plastic. Many people like to use an electric drill, which also works great. Whatever method you use, don’t put too much pressure on the container as you make the holes, or the plastic can crack. 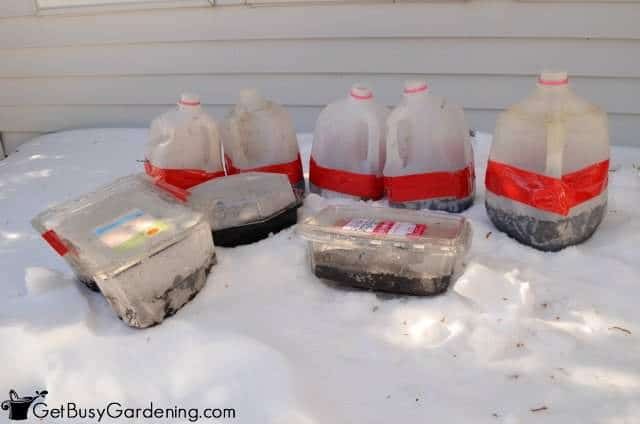 If you’re just getting started… the best advice I can give you at this point in the season is don’t worry too much, just think of winter sowing as an experiment. Next year, you’ll know what modifications to make to your winter sowing containers, what seeds work best for you…etc. So jump in and give winter sowing a try, but be careful… it’s addicting. 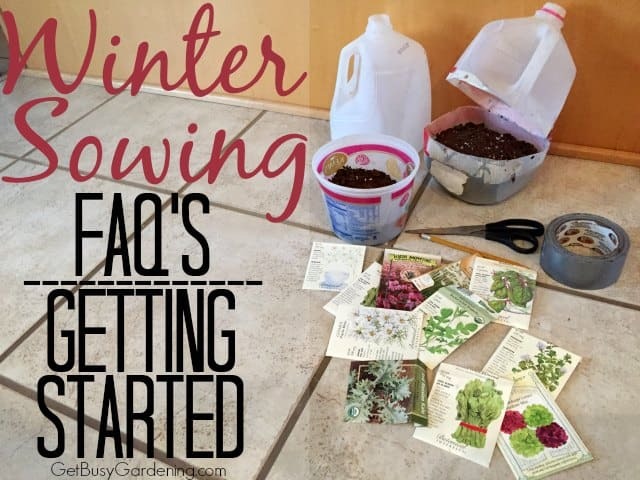 Do you have any questions about getting started with winter sowing? Ask them in the comments section below. Yes, born and raised! I hate the cold too, go figure. 🙂 I agree with you about people being discourage by starting seeds the traditional way. Winter sowing is great! I haven't done any winter sowing yet, although some of my best tomatoes and pumpkins have been volunteers accidentally left in the dirt over winter. Great to hear! Yes, winter sowing eliminates the need to harden off your seedlings. 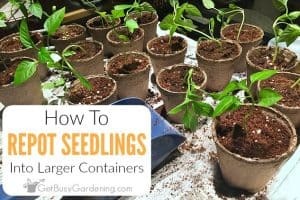 You don't have to baby them, and the seedlings are stronger and more likely to survive transplant to the garden. I'm glad you're going to give it a try! Good luck and don't hesitate to ask me any questions you may have. Amy, just wondering how often you water your winter sown seeds, if at all? I water them when the flats start to dry out, if we haven't had much snow/rain. I check the flats daily during dry spells, to see if they need water. Once they're out of the containers and planted in the garden, I treat them just like any other seedling/plant in the garden. Hope this answers your question. Yes, awesome! Go for it Brittney, and have fun! Amy, I noticed you tape your milk jug containers all the way around. Others just use a strip of tape to hold the hinged top and bottom together. I expect there may be a trade off between airflow and moisture retention. Since my experience to date has been starting seeds indoors, and having no success due to damping off, I opted for more airflow. I understand there is much less risk of damping off with this outdoor method, but if fungi are at all possible, it would happen – thus my favoring airflow. Could you share your thoughts and experience on this? Thanks! When everything is ready to put out, do I place them in shade? Nope, you put them in the sun. My plants are up but we are in store for very low temps. Should i cover the jugs up? It won’t hurt to cover them overnight to give them some extra protection. You could move them into a porch or garage overnight if you want too.